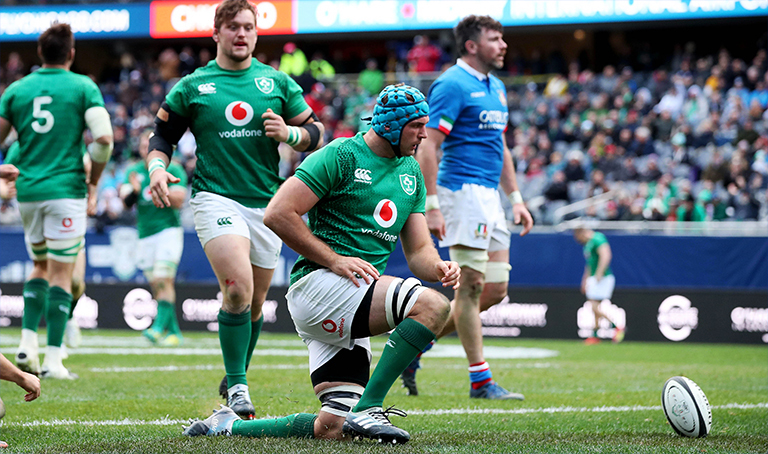 Ireland made light work of Italy in Chicago last night – running in eight tries in a 54-7 win at Soldier Field to get their November series off to the perfect start. 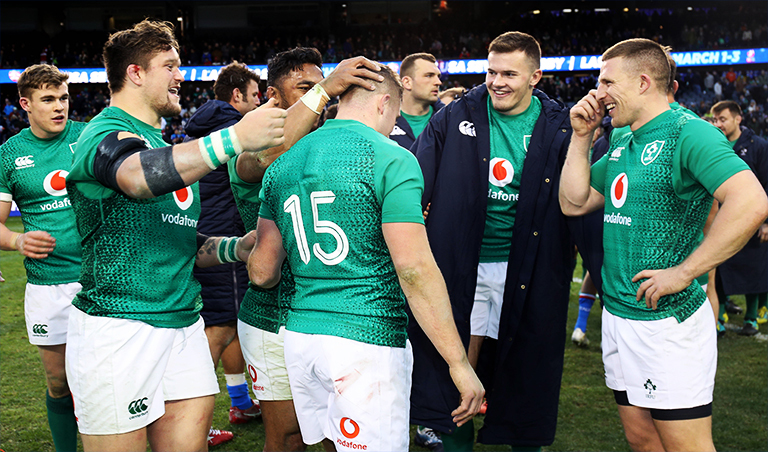 Jordan Larmour bagged a hat-trick, while Tadhg Beirne scored a brace on his first start for Ireland. There was also tries on the night for Luke McGrath, Garry Ringrose and Sean Cronin. Here are your player ratings. Simply electric. The best step in the game right now, the 21-year-old ran absolute riot against the Italians, scoring a hat-trick of tries. His last try was out of this world. Came off his wing well and put some clever kicks in behind. Really good game. Nearly scored a wonderful try in the opening minutes after a mazing run. Really solid game. Superb in defence and made some big and important carries. Aki is becoming a really important part of Schmidt’s backline and personally – I think he’ll find it hard to drop him. Looked very impressive and full of confidence with ball in hand, making a couple of tasty breaks. Controlled the game well and put some lovely kicks in behind. Excellent in defence and nice quick ball all day long. Decision making at times however, could have been better. Really good in the loose and no real problems at scrum time. Really strong scrummaging display – an area of his game that Schmidt loves. Lineout throwing was also on point. Really powerful display from the youngster, who scrummaged very well also. Getting better every Test. Stunning line for his second try, the Munster man was a man possessed all night. Huge chance he could end up starting against the All Blacks on the back of his performances this season. Good solid game from the South Africa, he can have no complaints. Monstrous game from the captain on the night. His work-ethic was incredible. Good solid game from JDF. Tackled and carried well. Some monster carries. He always manages to either find or make room through even the closest of quarters. Hugely underrated player.